The Tick has always and will always be a prime example of what comic book heroes can be. He’s a giant blue tick with super powers. Only in comics can you get away with using so much imagination on one page. 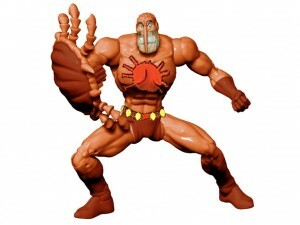 Shocker Toys who brought us SCUD, Kabuki, Knight Hawk and The Maxx figures has just got in the first batch of Tick figures. 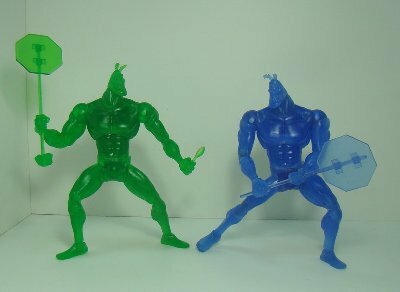 The Tick is the head of Indie Spotlight series 2 and larger than the other figures. He comes with a few accessories from the comic and also comes in a few exclusive variations. 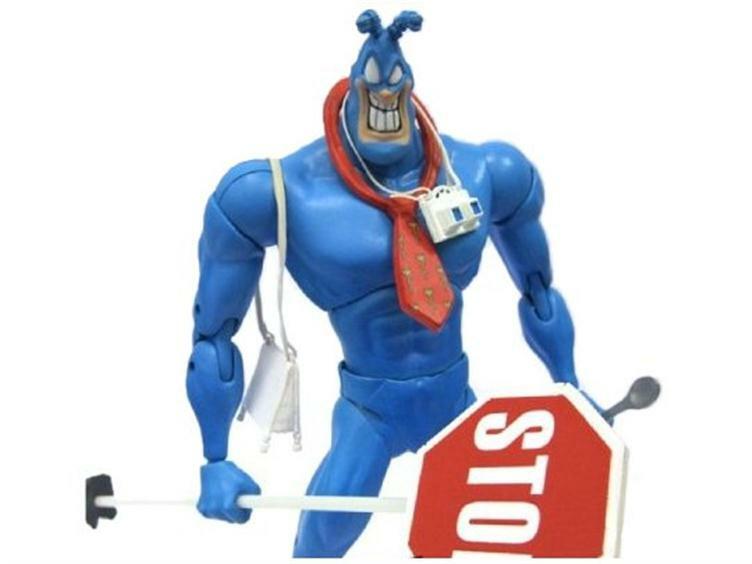 BBTS has a preorder for The Tick Preview figure along with the Clear Green variant Mucas Tick also available is the clear blue Tick over at Astro Zombies. Although the classic version of the figure will be avaialble for a while, Shocker Toys clear versions have always been quick to sell out. Personally I’m super excited about Indie Spotlight series 2 and even more of the Grandel figure which is due for release next year. Reviews and more pictures coming shortly.